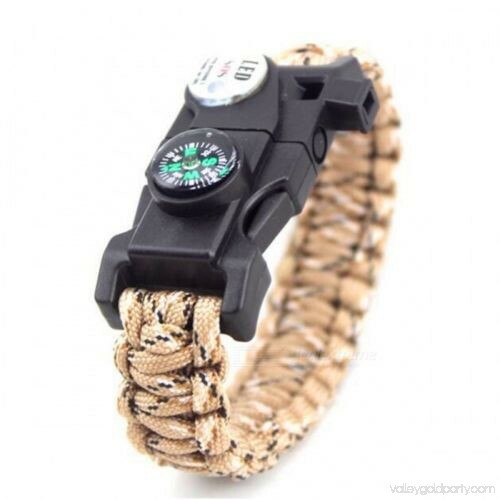 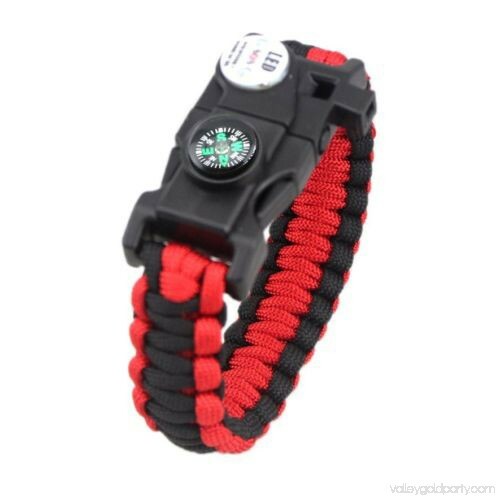 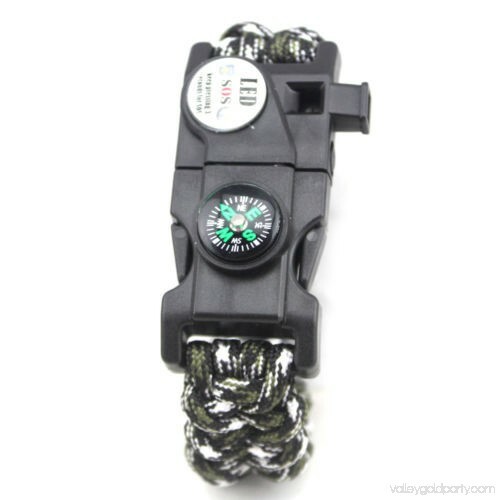 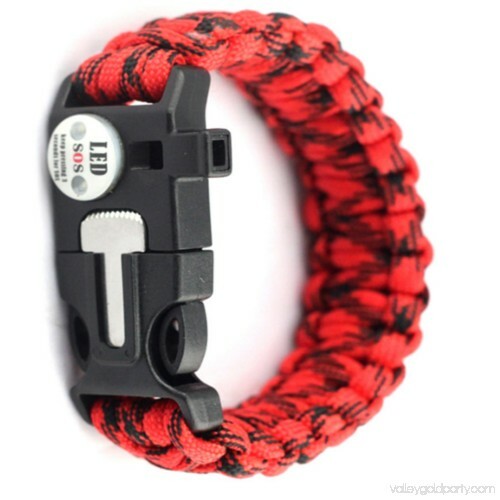 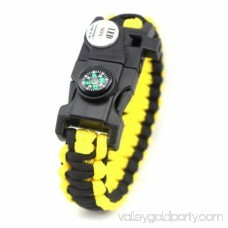 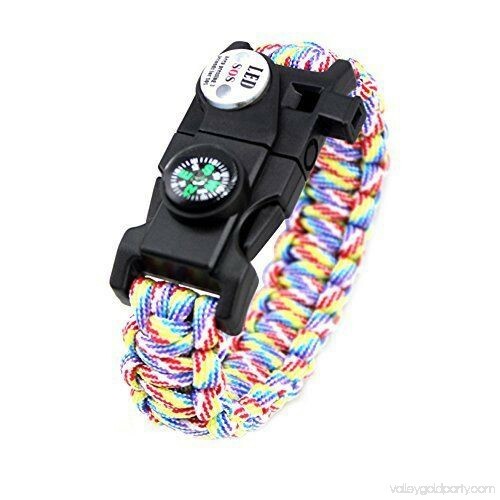 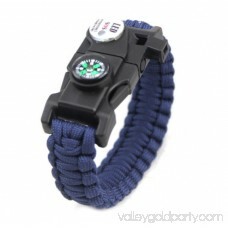 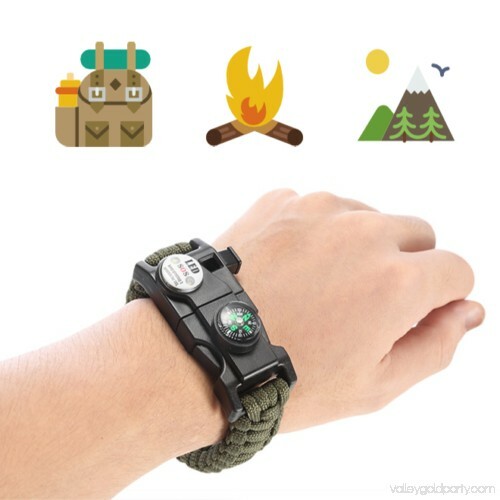 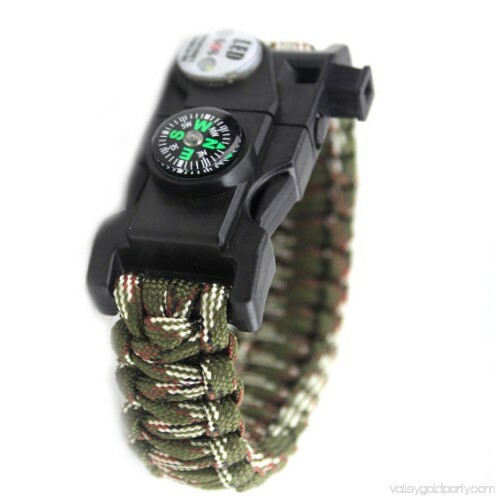 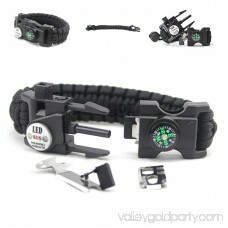 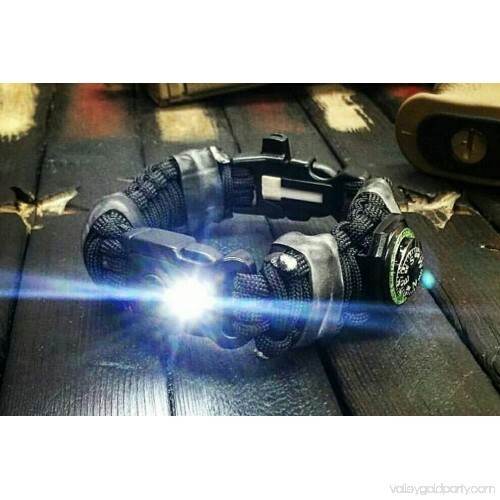 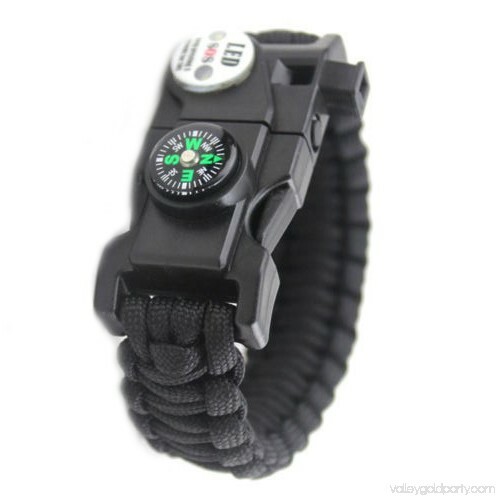 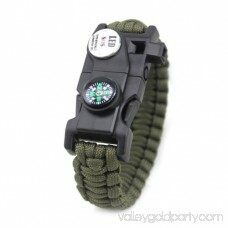 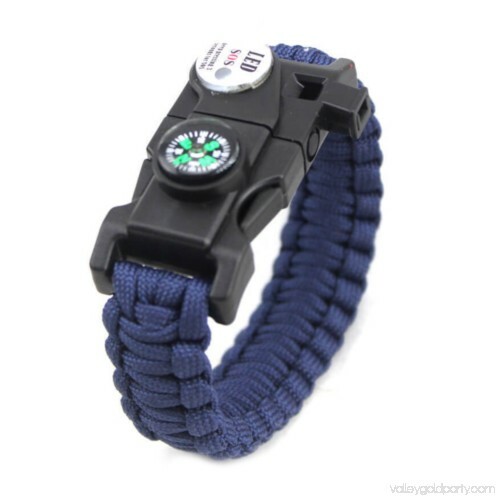 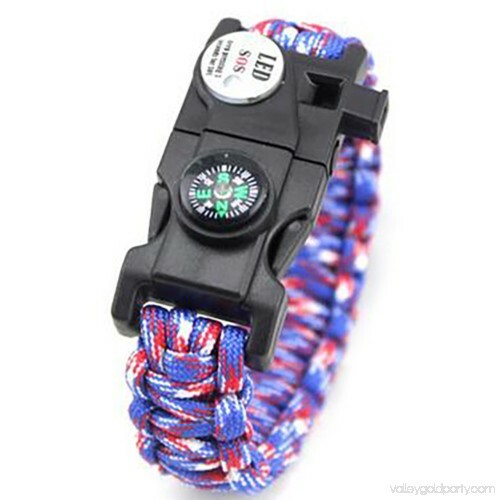 This LED survival Paracord is designed in bracelet style which ensures that you can wear it easily, and take it whenever needed. 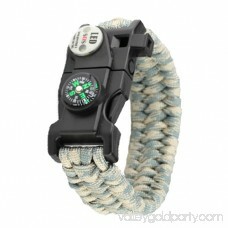 Simply slide to lock or take off. 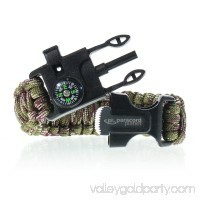 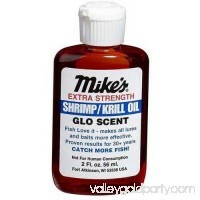 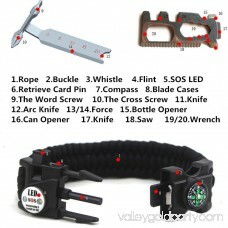 This item is a must-have on survival gear for go camping, hiking, fishing or hunting trips. 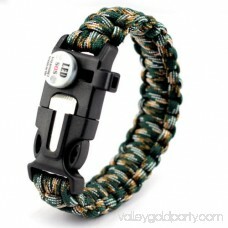 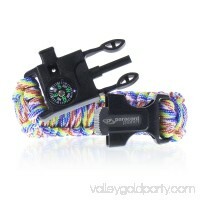 This bracelet can be disassembled as rope for making traps, building tents, and in other emergency situations. 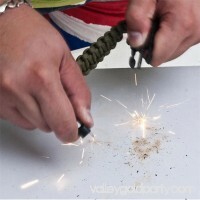 The scraper works as a fire starter, but could be used as a knife as well. The add-on compass feature provides easy safety for navigation while traveling. 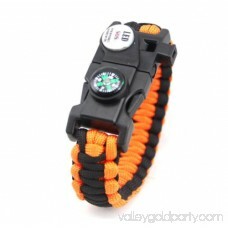 The built-in whistle is clear and loud to be heard from miles away. 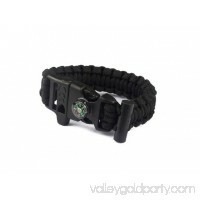 This bracelet includes a built-in LED light, great to be used in dark or low light situation when needed, providing safety in the dark. 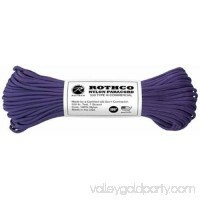 Use one of the finer inner Paracord strands as fire tinder, fishing line, or sewing string. 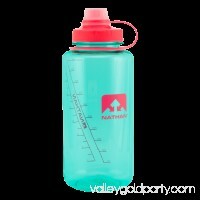 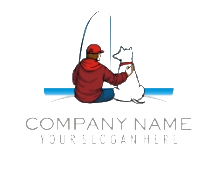 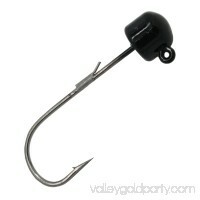 This is an ideal accessory for camping, boating, hunting, hiking, and other outdoor activities. 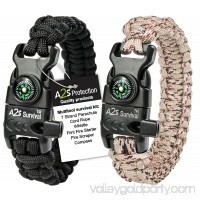 A2S Protection Paracord Bracelet K2-Peak - Survival Gear Kit with Embedded Compass, Fire Starter, Emergency Knife & Whistle Black / Sand Camo 9"